Twin Peaks at Elk Ridge is the private 9-hole-par-3 golf course wrapping precariously around the vineyard. You’ve never experienced real pasture golf til you chip a few at Elk Ridge. Find out more about our other golf packages including a zany game of Golf & Guns which includes a pitching wedge, a putter, a shot gun and a clay pigeon thrower . We’re gearing up for foot Golf this fall at Elk Ridge. Foot Golf is a great alternative when you’ve got your toss but you are still working on your swing. The Grain Bin Theatre Gym has a projection theatre for DVDs and computer presentations. (Adjacent to Main Lodge) There is a separate gym at the Grand Lodge that is exclusive to Grand Lodge guests. It is 40×40 with martial arts mat & punching bags, ping pong table, treadmills, free weights, two fitness poles and a mirrored dance studio. At Elk Ridge Ranch, there is a complete fitness gym with free weights, weight machines, with a full bath and shower, a wide selection of exercise DVDs, and mats for yoga, martial arts, and boxing. Cardio treadmill and Eliptical Machine. There are some great hunting spots. We can help advise you on how to obtain a hunting permit application and where to secure a hunting location with our private farm partners or on nearby state lands. We provide hunting experience and outdoor living with the comforts of home. The ranch features over 2.5 miles of fence line providing both the novice and experienced hunting enthusiast great opportunities for success. Stay on site in our lodging and we can direct you to hunting on private property with our area partners or show you some of the most secluded national forest spots available in the area. The vineyards at Elk Ridge Ranch are starting to mature and plans to open a winery are underway. Elk Ridge Ranch is located only 13 miles from the path of the Indiana Uplands Wine Trail. These are the vineyards and sunflower fields at the ranch. The scenery at Elk Ridge Ranch is stunning. It’s worth the drive just about 13 miles off the Indiana Uplands Wine Trail and the Hoosier Wine Trail to explore the scenic byways and trails that lead through Martin County, Indiana while the vineyards are in season. Elk Ridge Ranch hosted an Indiana Wine Tasting Festival in 2003. Look for more news on the winery and vineyards. We’re working with the Purdue / Indiana Wine and Grape Council. Learn more about our winery plans by calling Dave at 812-295-6235. We have a large 20 X 60 greenhouse. 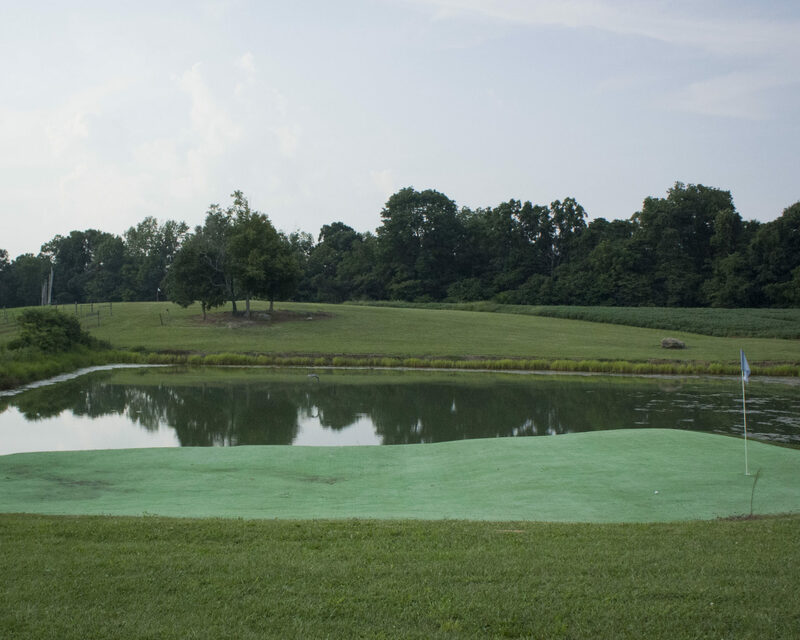 Elk Ridge has a stocked fishing pond for guests with blue gill, bass and catfish. No Swimming at Elk Ridge, but Patoka Lake is only 12 miles away. Picnics – Need a spot for your next outing? Use the Outdoor Party Barn Picnic Shelter at Elk Ridge. 4 Wheeler/ATV’s – 4-wheeler ATV riding is abundant in the area. Licenses are required to drive on county roads. Massage appointments and pricing may vary depending on which massage therapist is available. Due to limited availability, it is best to call ahead for advanced scheduling.